Here at Jaguar Downtown Salt Lake, we know that this isn’t just any car. The Jaguar you drive is your dream car, your baby, your pride, and joy. You deserve a team who can help you make sure your dream doesn’t disappear. With authentic parts from our genuine Jaguar Parts Department, you don’t have to worry. We carry both replacement components and dealer installed accessories at our Salt Lake City, UT dealership. We can also help you order specific parts if we don’t have them on site. If you already know what you need, simply place an order right here on line! Our staff will either find the part in our inventory, or make sure we can get it. Once we have the part, we will either ship it to you or hold it for you to come and get at your convenience. Still have questions? Contact our Genuine Jaguar Parts Department staff at (801) 257-3640. Where can I buy aftermarket accessories for my Jaguar? 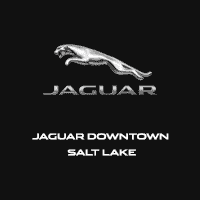 Aftermarket accessories can be found at Jaguar Downtown Salt Lake at 150 E 500 S Give us a call to speak with one of our staff members at (801) 257-3640 or stop by. Where can I buy parts for my Jaguar? Fill out one of our Parts Request forms or give us a call at (801) 257-3640 so a Ken Garff Parts staff member can help you find just what you need.